The concert, entitled, Acadian Roots, featured music from local artists Cyril MacPhee and Décota McNamara. This year, as part of Canada’s 150 celebration, Celtic Colours commissioned artists across Canada, as well as the usual mix of globally-renowned Celtic musicians. On the bill last night was East-coast band The Narrows and the Quebec-based Bon Débarras. 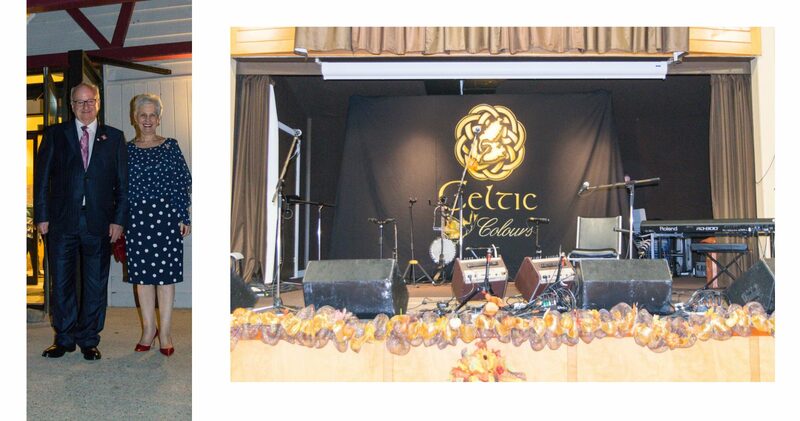 The D’Escousse Civic Improvement Society Hall has been a host to many wonderful nights of Celtic Colours entertainment over the years. With 400 capacity, it’s one of the bigger venues on the circuit, and as such plays host to some of the more popular acts, but Monday night, we were especially pleased to welcome the recently-appointed Lieutenant-Governor of Nova Scotia. Their honours are proud Acadians and their presence made the night special indeed. Décota McNamara kicked off the evening with his intricate guitar groove. The Narrows continued the evening with their uplifting Celtic melodies. Things really got going when local favourite Cyril MacPhee was joined on stage by Décota and played everything from John Denver to Nova Scotia To Me. To finish the evening off, we were treated to the unique rhythmic talents of Bon Debarras, all topped off – as is tradition – by some authentic step dancing. The Celtic Colours is a unique experience that must be witnessed. Festival goers travel from all corners of the world to appreciate ten days immersed in the culture of Cape Breton, but also relish in its Celtic roots. This year some of the concerts are being streamed live on the Celtic Colours youtube channel. If you haven’t been yet, signup for the newsletter on their website, and make a point, this Fall or next, to see what’s on offer near you. Every concert offers an opportunity for something new for the ear. You might just meet your next favourite band. Great write-up of the evening Craig. The Celtic Concert in D’Escousse is always a hit!